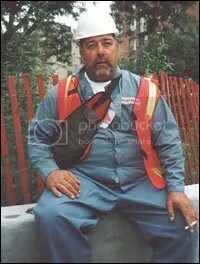 This morning in my daily devotions I read about a World Trace Center debris worker Frank Silecchia. It seems that on Sept 13 as he was helping to recover bodies, Frank noticed two steel beams in the shape of a cross standing nearly upright in the middle of the debris. His find has since brought emotional healing to many families that have been left behind. A story is told of journalist, Barbara Walters, who with tearful friends who lost their son in the catastrophe, were taken to the cross by Frank and found emotional release. Many times before and since Frank has helped to direct loved ones to this end. As work progressed the emblem of peace and hope was in need of relocation. New York Mayor Rudy Giuliani quickly approved a request by Frank to move the cross to a new location. Since that time it was found necessary to move it one more time to allow room for the reconstruction in the fate-filled site. The cross has been a place of refuge for many and, according to Wikipedia, the nearby St. Paul’s Chapel, which survived the destruction and was a refuge for survivors and site laborers, sells various replicas of the cross including lapel pins and rosaries. After the terrorist attacks, Ground Zero became for Frank and many Americans “sacred” ground. Atheists have sent Frank hate mail but Frank doesn’t lose hope. “God has been by my side through the whole business. He’s my personal Saviour and my reward is proclaiming God’s healing,” Frank stated. He also offers a link for you to order “THE PROMISE GROUND ZERO MEMORIAL CROSS” in 14k gold or Sterling Silver. – It is a replica of the steel beam cross discovered standing upright in the rubble of the World Trade Center two days after the towers collapsed. The cross has been meticulously detailed to show the distinct complexion of the steel beam structure and will be identified with the exclusive Promise logo and is engraved with “9/11”. Made in the USA. Net proceeds from this cross will go to the non-profit organization TUESDAYS CHILDREN, dedicated to helping the orphans of the 9/11 Tragedy. 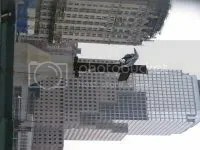 Please visit Mr. Silecchia’s memorial site now at wtcgodshouse.com and read his own account of his ordeal at Ground Zero. Please order one of the crosses if you can. It will help the children who were orphaned because of the WTC disaster.